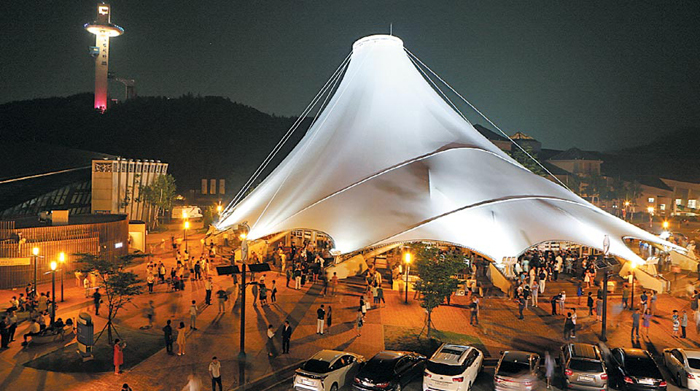 The annual music festival will kick off its two-week run in Pyeongchang, Gangwon Province in July. The festival has been held every summer since 2004. World-renowned cellist Chung Myung-wha and her violinist sister Kyung-wha have directed the event since 2011. Pianist Son Yeol-eum took the helm for this year's event which runs from July 23 to Aug. 5. "The alpine town of Pyeongchang became known to the world thanks to the successful hosting of the Winter Olympics early this year," Son said. "I hope the place will also be known for its music festival." Son said she felt a great sense of responsibility to take over such a huge task from veteran musicians so she turned down the offer several times before finally deciding to do so. "I want to try to make some changes by combining a wider variety of classical music," she said. For more information, visit the festival's website at www.mpyc.kr.